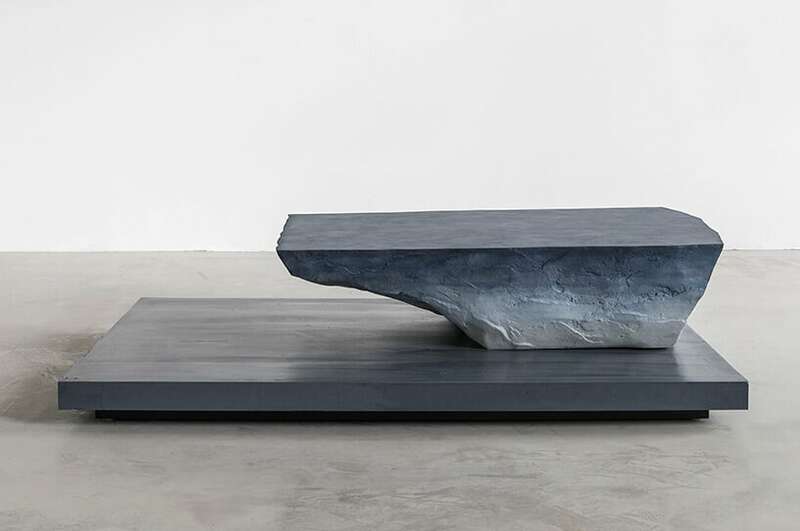 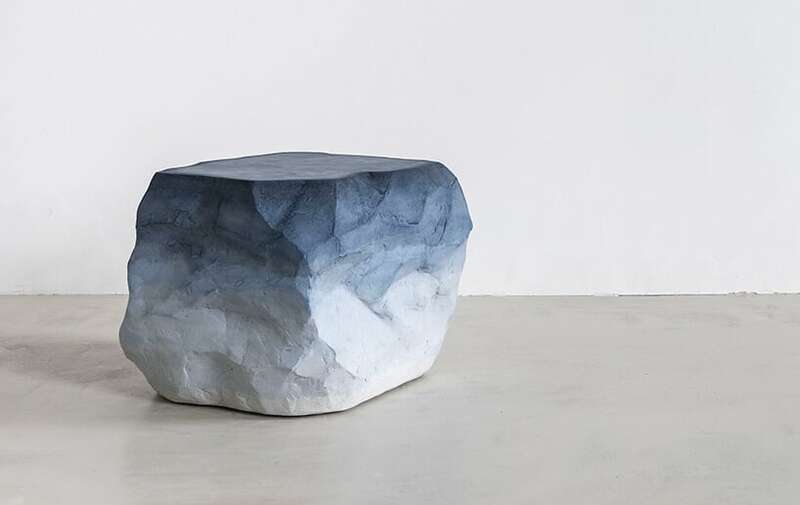 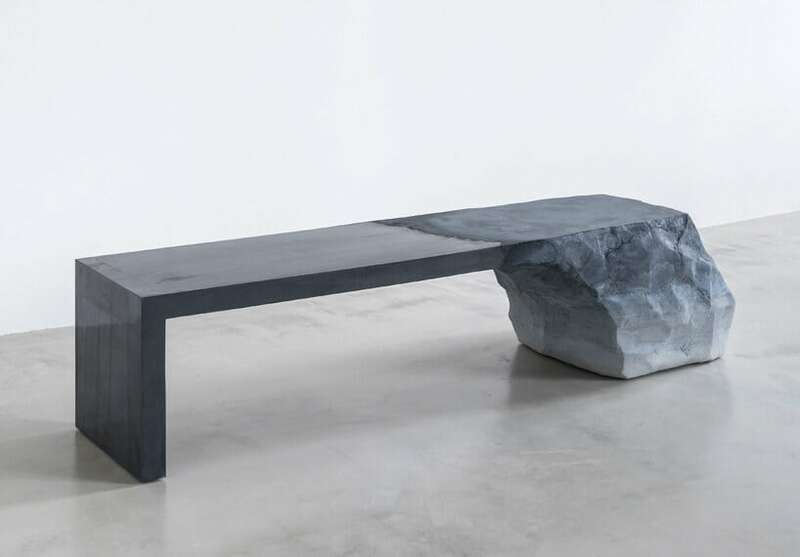 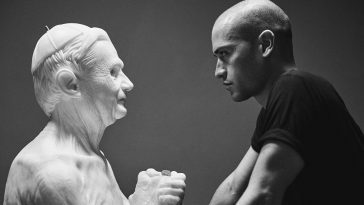 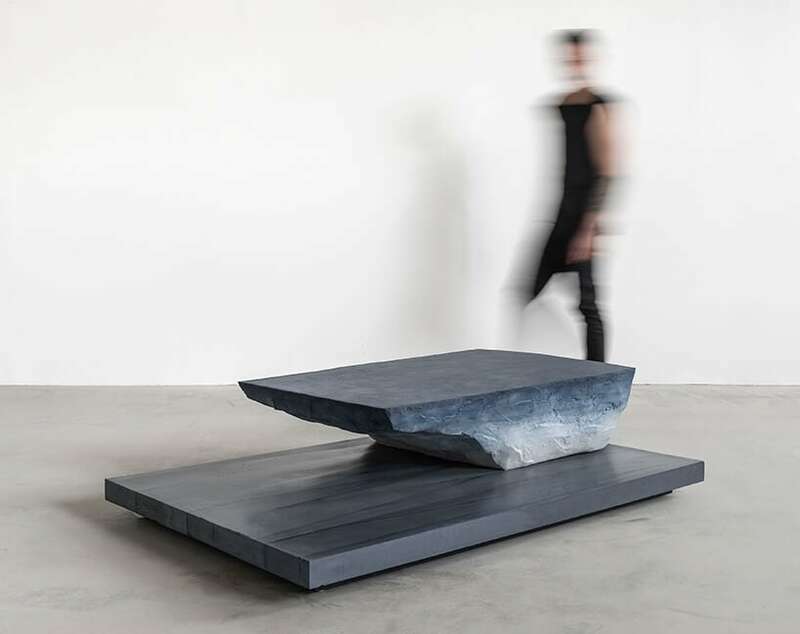 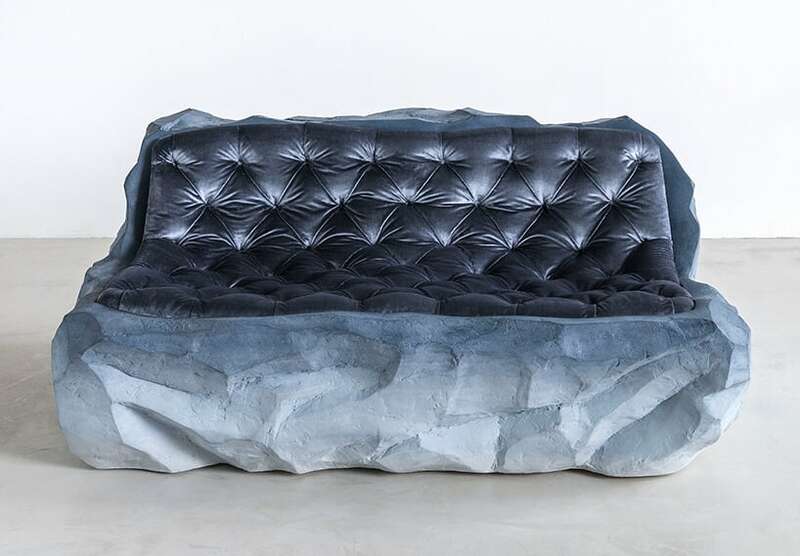 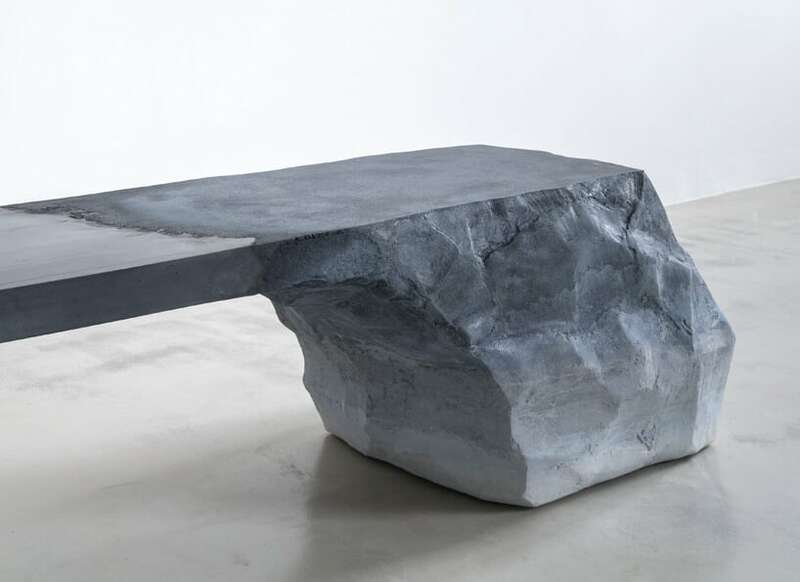 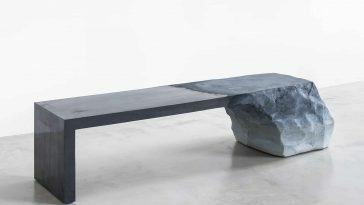 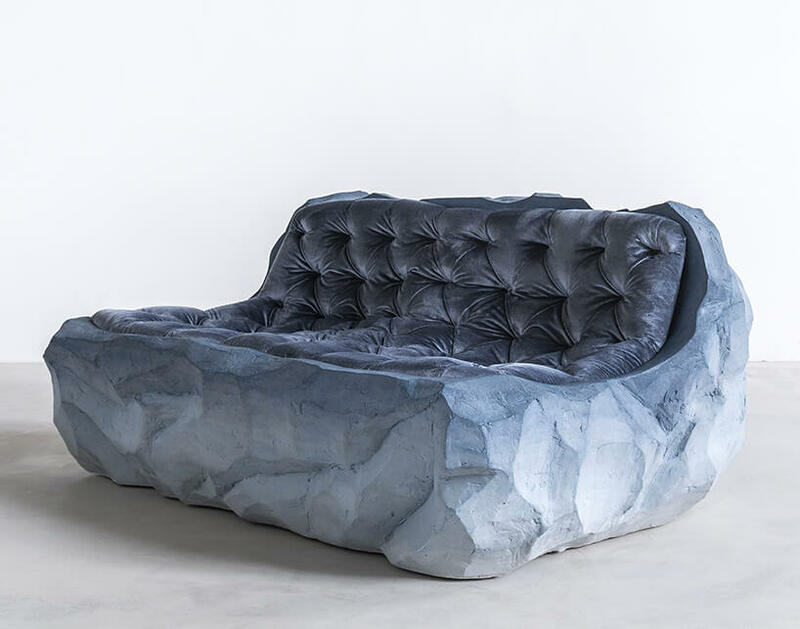 Throughout New York design week 2016, Brooklyn-based artist Fernando Mastrangelo has continued his ‘drift’ collection with a series of sculptural furnishings that indicating the structure and beauty of glaciers and typical earth formations. 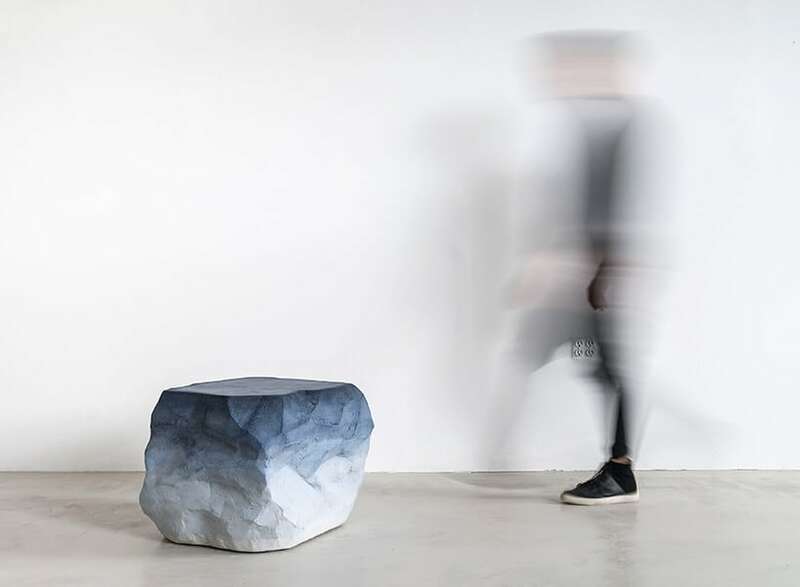 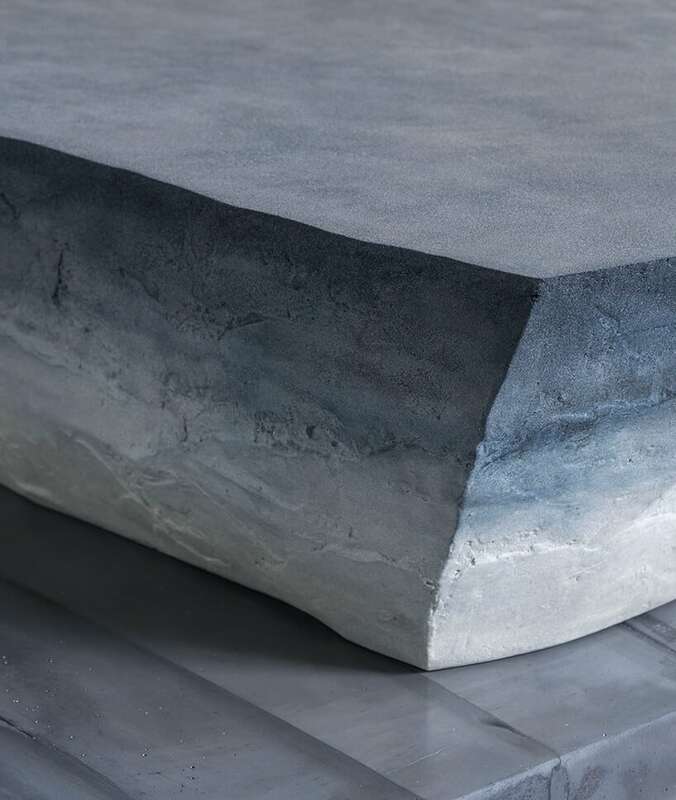 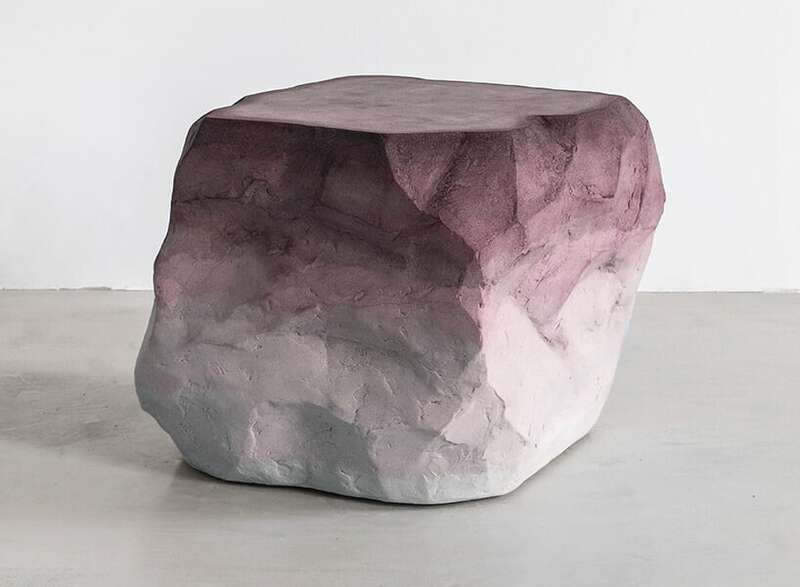 The line of rugged yet elegant objects has been developed to include a coffee table cast from sand and cement; sand and cement sofa covered in silk velvet; a 72” mirror; a coffee table; and ‘Petra’ side table in blue and pink. 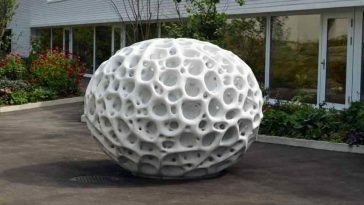 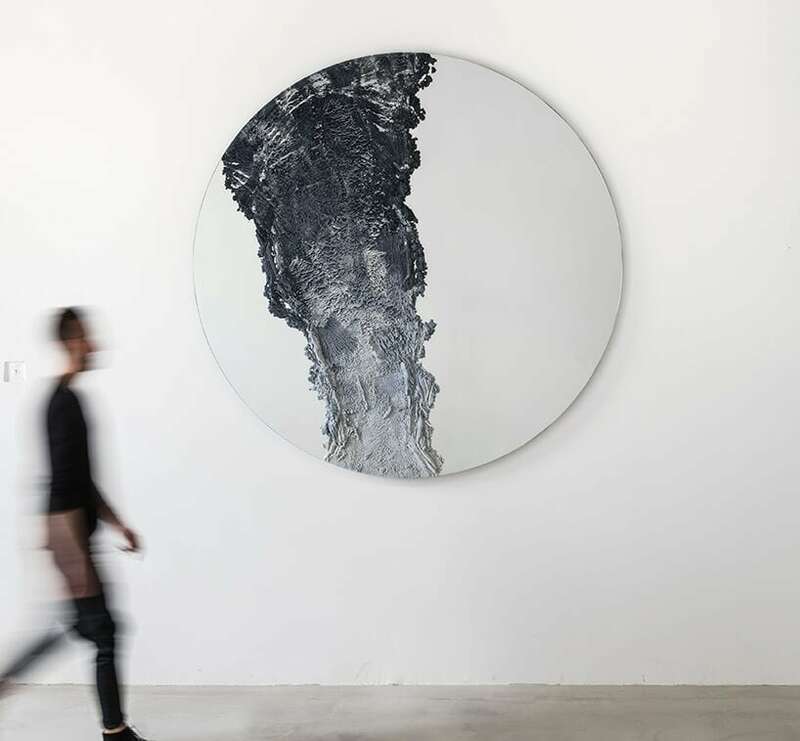 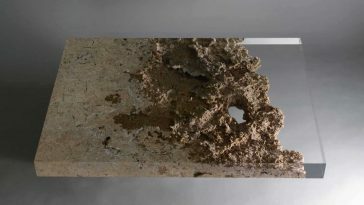 Using hand-dyed sand, powdered glass, mirrors, and cement, Mastrangelo juxtaposes elements that are meticulously crafted and polished with strong, terrain-like surfaces that are less controlled. 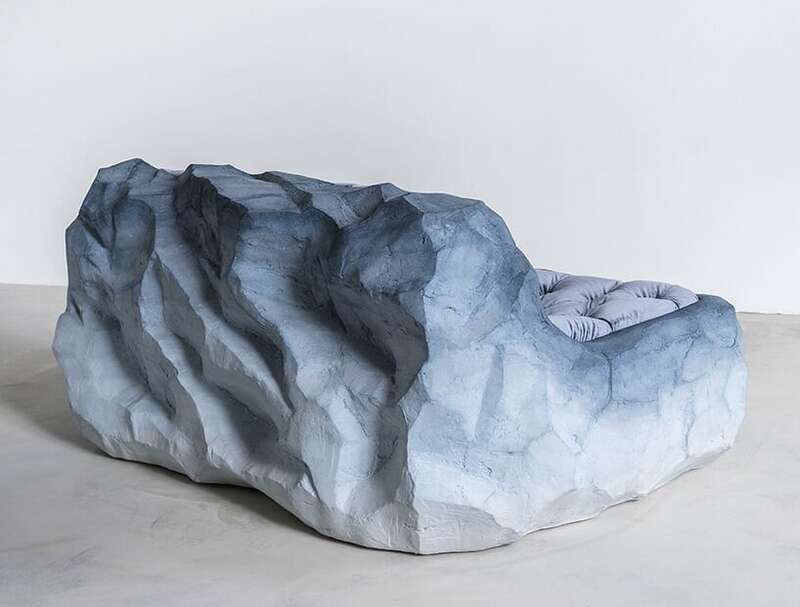 The collection is informed by two pivotal voyages: Patagonia, where the initial color palette has been sourced; and the Grand Canyon, where layers of earth and strata caused the sand’s gradient effect. 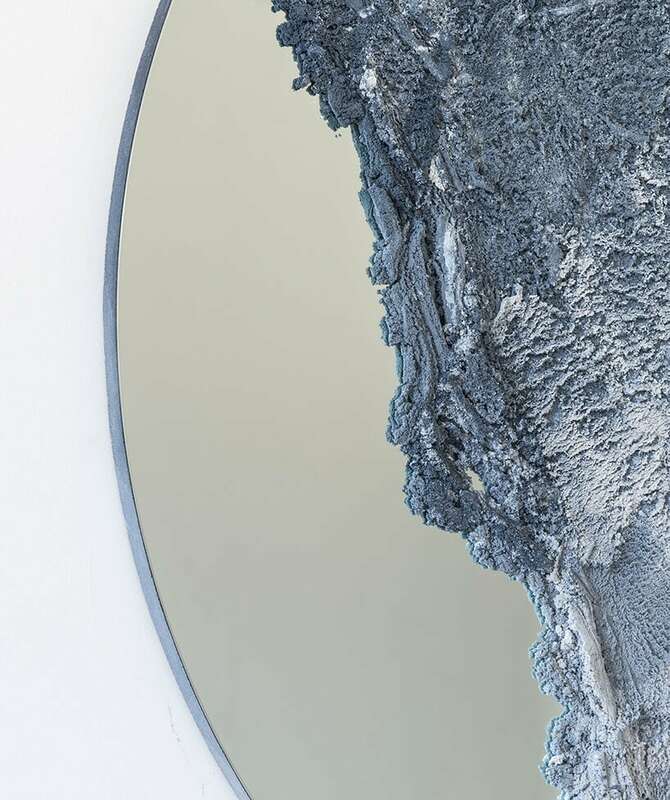 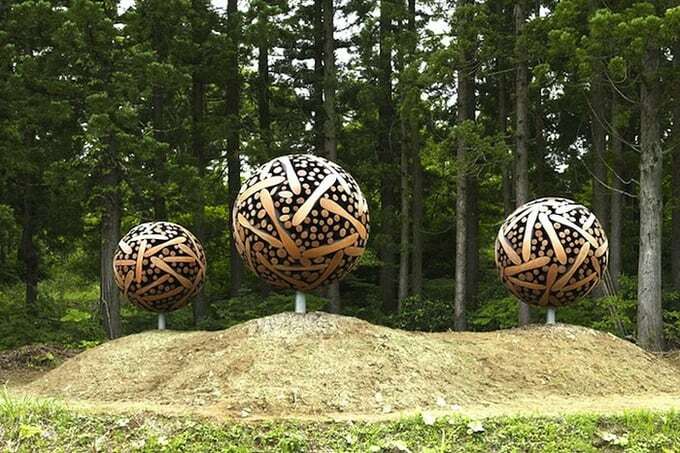 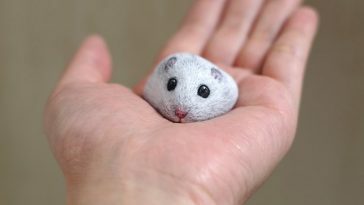 Each piece is unusual and offered in a very limited edition.